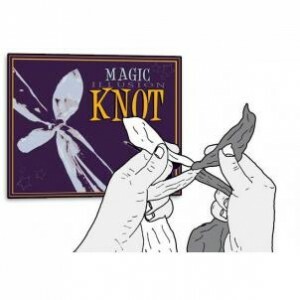 The Disappearing silk trick is a great trick, but you do require a Magic Thumb Tip to be able to perform the trick. You can try and make one if you have an old glove and some hardening glue. The trick is to wear the Thumb Trick until you place the Tip in your opposite hand and start to push the Silk into the Tip. Once the silk is completely inside the Tip you then place the Tip back on your Thumb and show your audience that you no longer have the Silk, you can then proceed to place the Tip back in your hand and extract the Silk again.